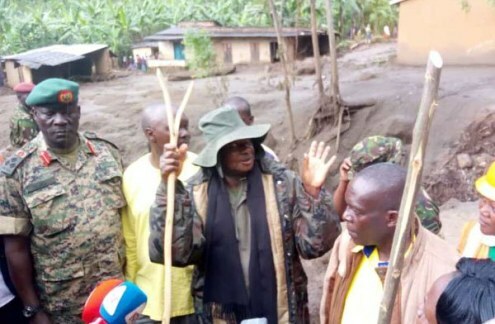 President Yoweri Museveni has visited Bukalasi sub-county in the Bududa district where dozens of residents lost their lives in mudslides after a heavy downpour. At least 42 bodies have been recovered so far and an unknown number of people are still missing and feared dead. 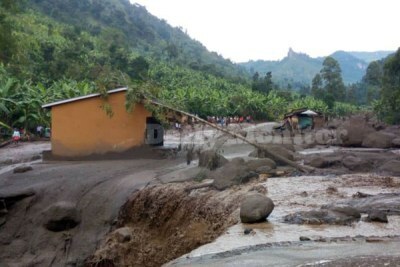 Museveni has apologised over his government's failure to relocate residents from the mudslide-prone mountains to safer areas. President Yoweri Museveni talks to journalists and residents in Bukalasi, Bududa District on October 14, 2018. 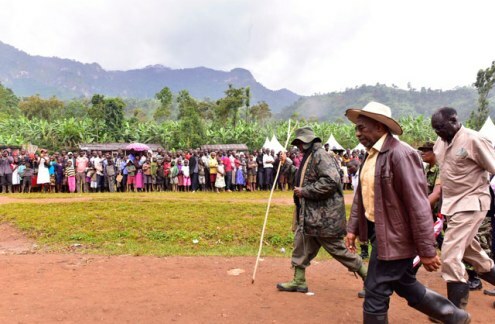 President Yoweri Museveni, wearing military uniform and carrying a cleft stick, and Prime Minister Ruhakana Rugunda walk to the Bududa disaster scene. 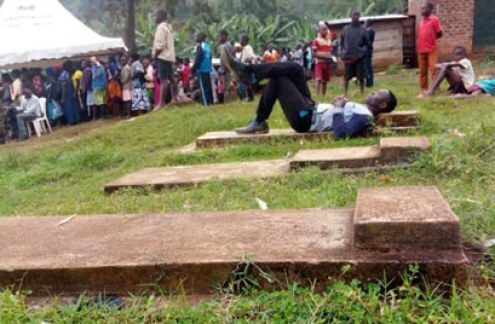 A man lies on a grave during payers for victims of Bududa mudslides in Bukalasi Sub County on October 14.